I receive an error when attempting to swipe a credit card. I access my payment processing software or application through a Remote Desktop Connection. 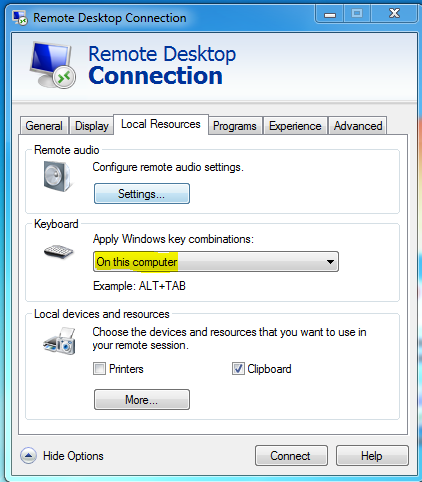 From the local computer, locate the Remote Desktop Program used to connect to the Remote Desktop Session. If you use multiple sessions for processing; these steps should be repeated for each session. Right-click the icon and select Edit from the menu. Click the Local Resources tab, and change the Keyboard setting to "On this computer." Click the General tab and click SAVE. Close the Remote Desktop Connection window. 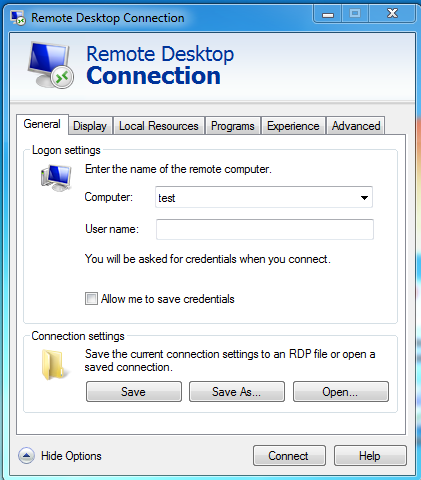 Launch the Remote Desktop Connection and connect to your remote session as normal. Access your payment application and you will be able to swipe credit cards successfully. This KB is a work in progress. Please use the "Was this answer helpful?" feature on this KB to submit a comment confirming, rejecting or otherwise providing feedback on this information.